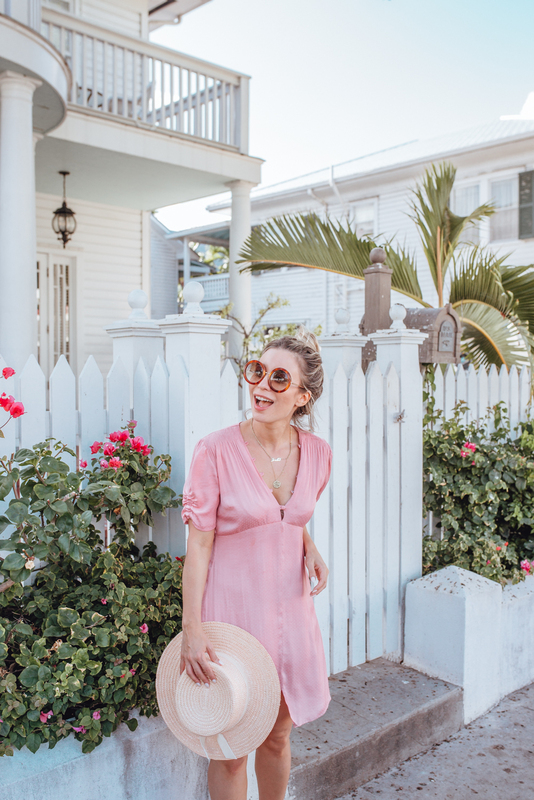 5 Days In The Florida Keys | La Petite Noob | A Toronto-Based Fashion and Lifestyle Blog. About a week ago I woke up in my Toronto condo, to open the blinds and be confronted by snow. I couldn't think of a greater sign pointing towards a sunny getaway; fortunately, the very next morning I was boarding a plane on my way to the Florida Keys. The Florida Keys had always been a bucket-list destination for me. 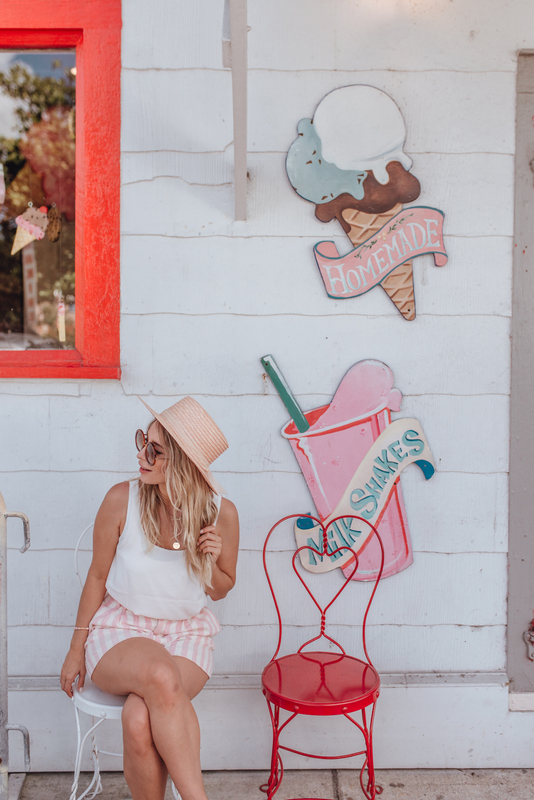 I wanderlusted over photos of pink sunsets, pastel-coloured houses and endless seafood. Though my expectations were high, nothing could have prepared me for how truly magical the Florida Keys are. The beautiful weather, vibrant colours, incredible food and warm people have truly captured my heart and after 5 days, I'm already wanting to go back for more. 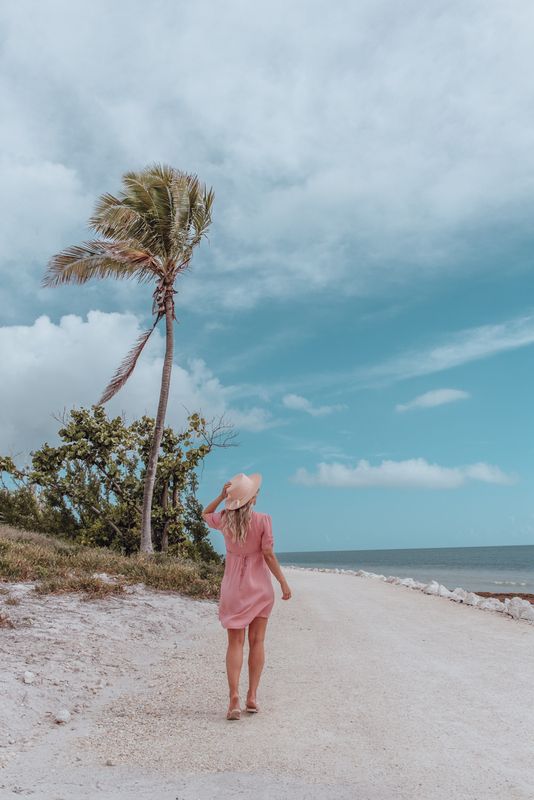 Here's a detailed itinerary of 5 days, 4 nights in the Florida Keys - what we did, where we stayed, what we ate and the beauty that we experienced along the way. 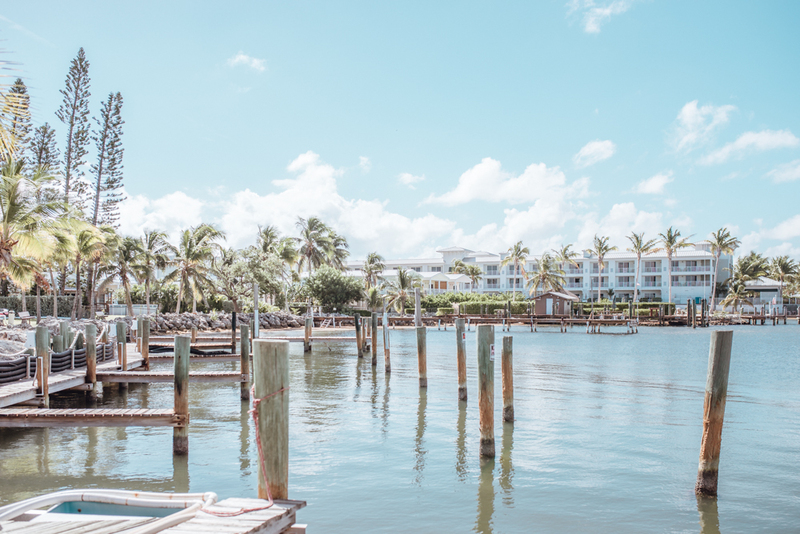 After a short, direct flight from Toronto to Fort Lauderdale our group made the hour and a half drive to Islamorada for a two night stay before we traveled further south to reach Key West. The sunshine and warm weather that greeted us upon exiting the airport was enough to keep excitement high as we drove through beautiful Florida to reach our final destination. Stopping for lunch along the way at The Fish House Restaurant in Key Largo set a very high bar as the first meal of the trip. The Fish House uses fresh, locally caught seafood to prepare dishes on their vast menu. We feasted on a seafood sampler platter, and I enjoyed a rock crab salad that boasted a heaping amount of fresh crab. We also tried our first of many Key Lime Pies of the trip, each being a little different than the next. The meal was outstanding, and exactly what the doctor ordered after a morning of travel. After a short drive, we arrived at our first property of the trip, the Amara Cay Resort. 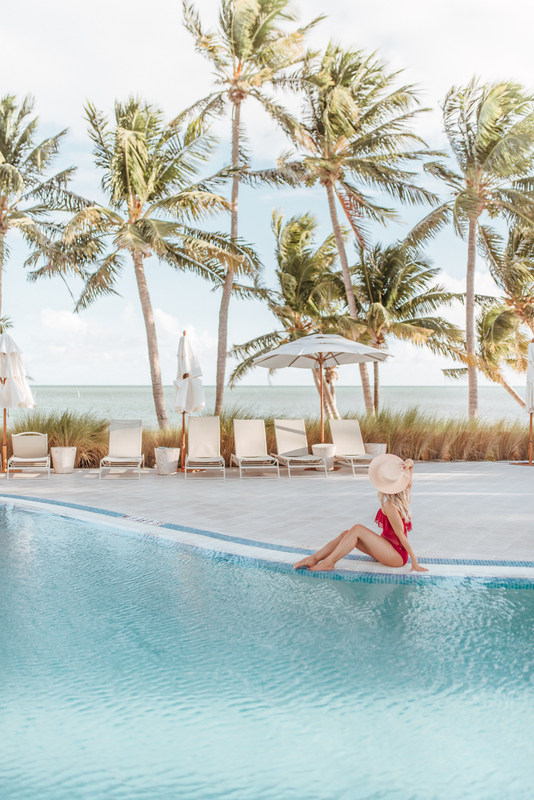 Recognized by the Conde Nast Traveler 2017 Reader's Choice Awards as a top resort in the Florida Keys, the Amara Cay property is absolutely stunning and certainly takes curating a beautiful and relaxing guest experience to heart. My room was ground level, with a stunning ocean-view terrace and elegant decor. 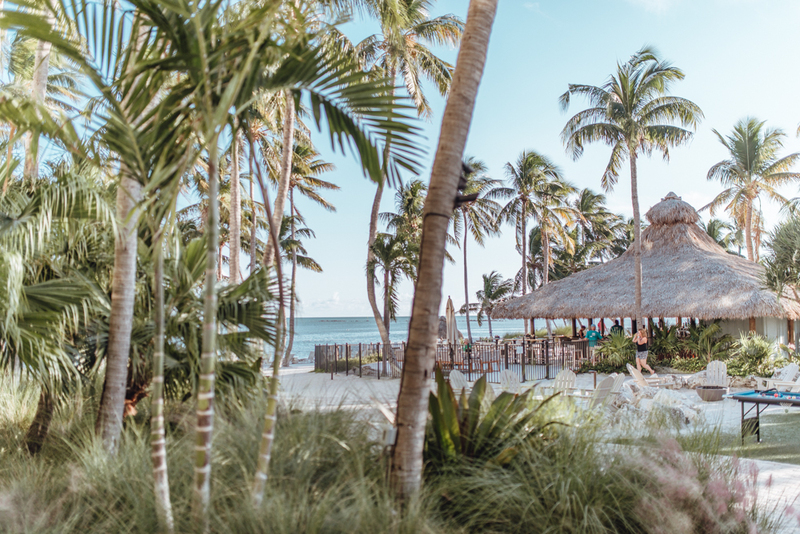 Although affected by Hurricane Irma, the Amara Cay Resort was about to rebuild and improve upon their ocean-front property in just 3 months! My goal is to visit the property for an entire week in the future and just relax, drink in-hand listening to the sound of the ocean. After relaxing at Amara Cay Resort for a few hours (and experiencing a gorgeous Florida Keys sunset from their private beach) we were off to dinner. Our meal was experienced at Angler and Ale, a new restaurant opened at the Hawks Kay resort. The restaurant was the perfect mix of upscale and comfortable, serving freshly-caught seafood in a chic environment. Our group dined on the patio and, although it was too dark to see the ocean, to be eating dinner while waves crashed in the background was a real treat. I really enjoyed my coconut and almond shrimp (the pink shrimp in The Keys is phenomenal) and devoured a lobster mac & cheese. Ending the meal with another Key Lime Pie, this one with a meringue on top, closed out an incredible first day in the Florida Keys. After waking up with sunlight gently streaming in my room and the sound of the ocean in the distance, I couldn't help but spend an extra few minutes in my cozy bed just being present and soaking in the experience. 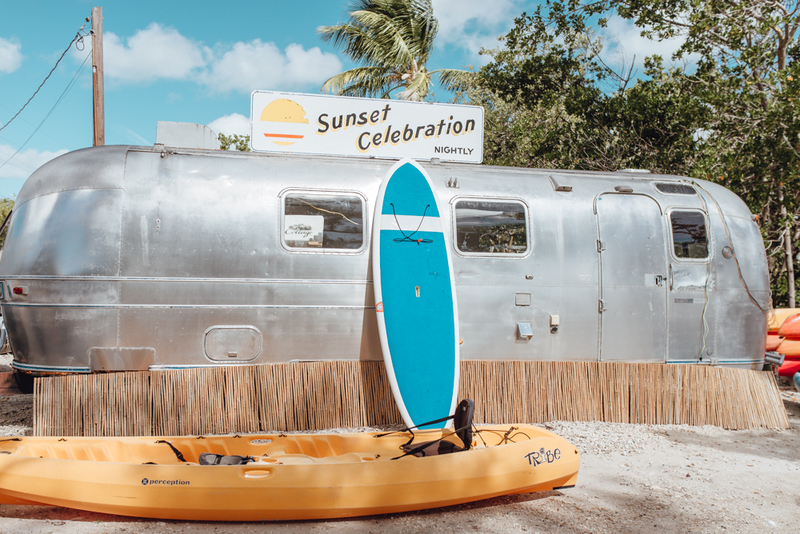 It was the start of another incredible day in the Florida Keys, and the fun had just begun. Next on the agenda was a visit to the Turtle Hospital, an establishment that serves to rescue wild sea turtles in distress and treat their injuries with the ultimate goal being to release them back into the wild. We learned all about the different types of sea turtles, and their various injuries - many of which being man-made. The experience certainly gave me a whole new perspective on our consumer-driven society and how excess use of plastics affects our oceans. 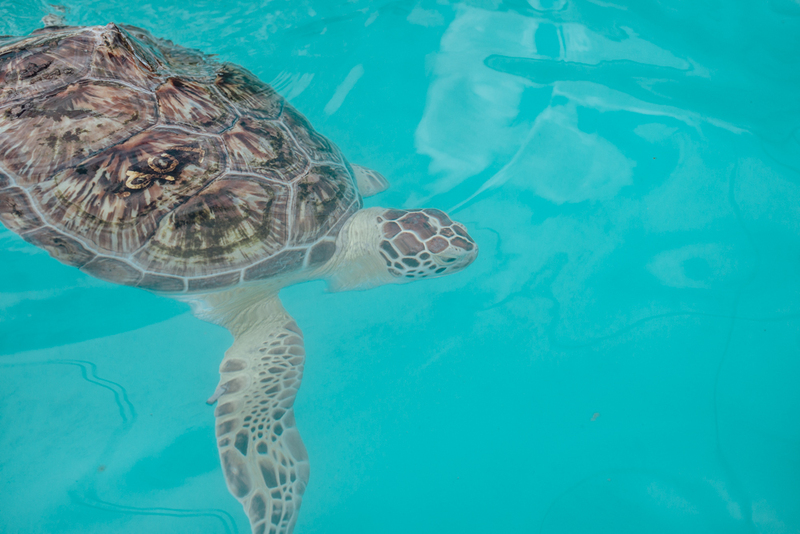 We were then introduced to the hospital's resident sea turtles, including a newborn sea turtle that was just rescued that same-day! The experience was incredibly educational, eye-opening and an absolute must during your next visit to the Florida Keys. Lunch for the day was enjoyed at The Keys Fisheries - a casual ocean-side eatery that boasts some of the freshest seafood in the Florida Keys. I enjoyed scallops, mahimahi, lobster tail and fresh shrimp - all cooked simply with a light spice. The meal was incredible, easily one of my favourites of the entire trip. The evening was capped off with an incredible dinner at Morada Bay Beach Café. Y'all, Morada Bay is my jam. The area is so free-spirited and relaxed, while curating an authentic vibe and experience. Morada Bay Beach Café carried on the spirit of Morada Bay, with a beautiful courtyard where patrons dine by the ocean, under the stars. Complete with a vintage air stream on-site that served as a boutique, this property had me at hello. Blending Caribbean and American flavours, we all enjoyed our seafood-heavy dinner and went to bed stuffed. What an incredible end to a great day. Enjoying one last sunrise at the beautiful Amara Cay Resort, it was time to have an on-site breakfast, pack up and continue our travels further south to Key West. 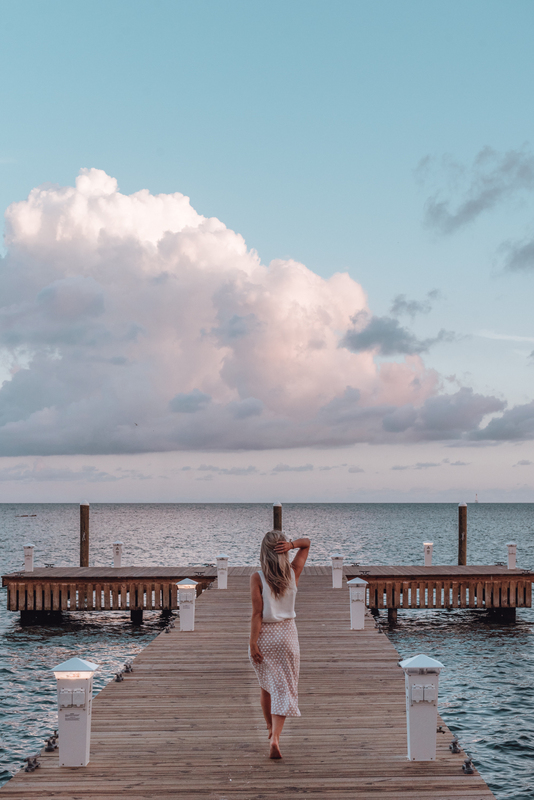 The morning was bittersweet; as much as I enjoyed our time in Islamorada and at the Amara Cay Resort, I was excited to discover a new area in the Florida Keys. 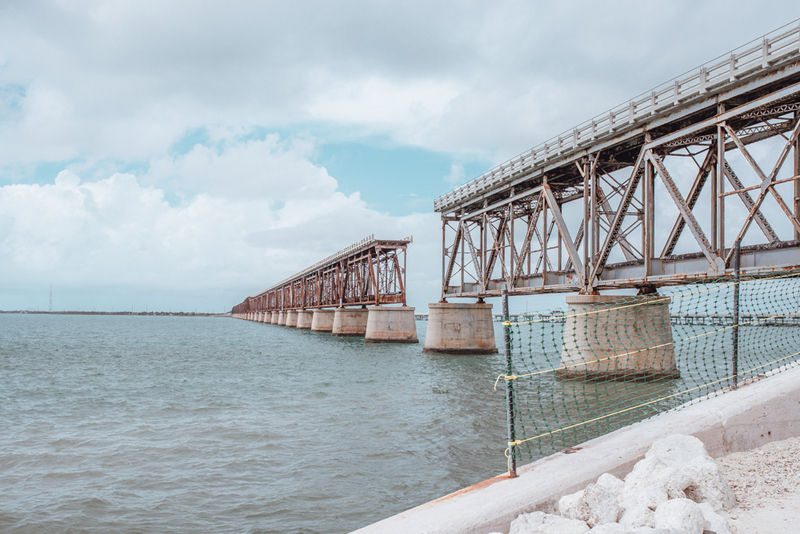 Our day begun with a visit to the Bahia Honda State Park, a 500-acre state park that offers camping, biking, picnicking and swimming in their shallow, warm-watered beaches. I opted to explore on-foot, and had a great time taking in the panoramic ocean views. Exploring a vast state park in the Florida heat builds an appetite, so a stop at No Name Pub was exactly what the doctor ordered. A blink-and-you'll-miss-it establishment, The No Name Pub is certainly something to see - the entire establishment is lined with one dollar bills! We enjoyed shrimp pizza with both classic tomato sauce and an Alfredo sauce - delicious. We then arrived at our new home-away-from-home, the 24 North Hotel. 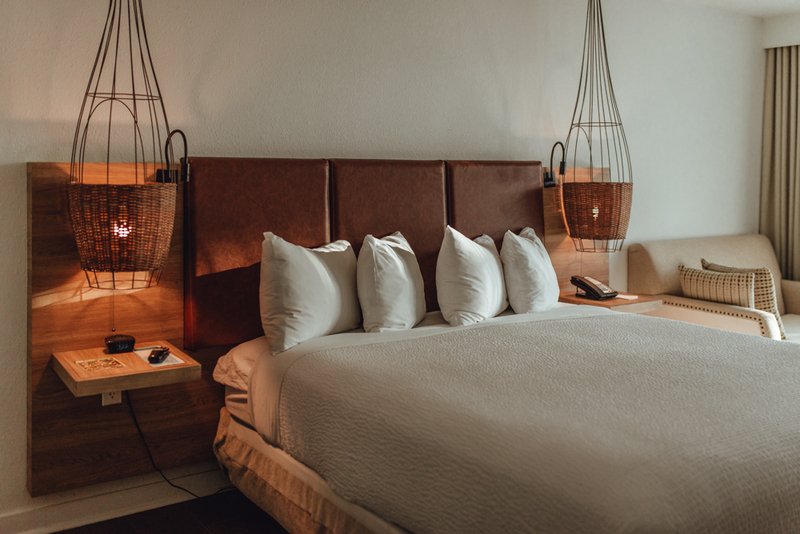 Located right at the point of entry to Key West, the 24 North Hotel has everything that you could possibly want in a property: it's super central, boasts a beautiful heated pool and has a Starbucks on-site! Swoon! My room overlooked the ocean, which was a nice treat. For those of you who have been reading my blog for awhile, you'll know how important having access to espresso-based drinks in a hotel is for me, so the Starbucks on-site was a huge selling feature to me. It's the little things! Our group then took a quick taxi ride into the heart of Key West, Mallory Square, to be able to catch the sunset. 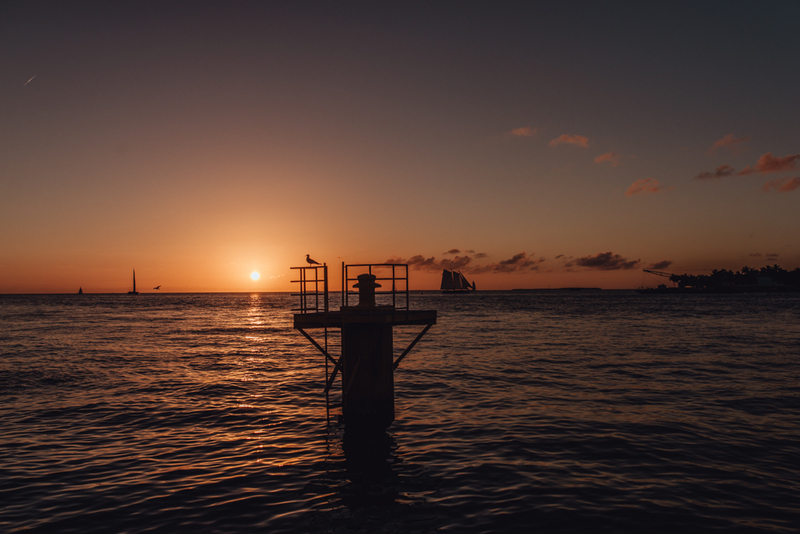 The sunsets in Key West are legendary, and being able to experience the Mallory Square Sunset Celebration is certainly an experience I won't soon forget. We purchased a couple of margaritas right on the pier, found a spot with a great view and sipped away as we watched the sky explode into warm colours as the sun gently set. Cheering along with the crowds, the whole experience was nothing short of magical. The evening was capped off with a delicious dinner at Turtle Kraals which included, you guessed it - copious amounts of seafood! Our server for the meal was quite possibly the most charming man in Key West, and we enjoyed our dinner as he gave us Key West tips that only someone local to the area would know. Up bright and early with the sunrise, with a Starbucks Americano in-hand, we started the day off with an impromptu swim in 24 North's beautiful pool. If this is November weather in the Florida Keys, then I'll take it. Our day started off with a bang, with a boat adventure with the Island Adventure Eco Tour provided by Fury Water Adventures. The tour was a highlight of the entire trip for me; cruising through the ocean, stopping only to snorkel and explore a natural mangrove on kayak. We then had some free time to hang out on a sandbar, with beer in-hand and just enjoy the beauty of the ocean. What an incredible morning in Key West, cultivating memories that I'll keep with me forever. After the thrill of our boat tour, we had ample time to explore Key West on our own. I had no idea how much there is to-do, and how many activities there are available in Key West. There seems to be something for everyone; wether you want to party the day away, spend time shopping or explore historical landmarks and cultural activities. Didier and I chose to check out a few notable places known to Key West. 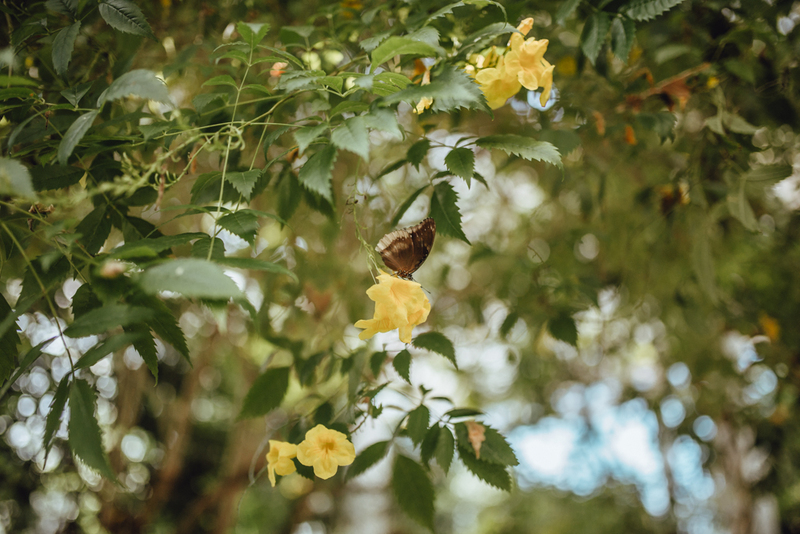 Up first was Ernest Hemingway Home and Museum, the home where Nobel Prize winner Ernest Hemingway spent nearly ten years living and writing, drawing inspiration from beautiful Key West. The museum was like stepping back in time, and we had a ton of fun exploring the gardens and meeting the many resident felines. 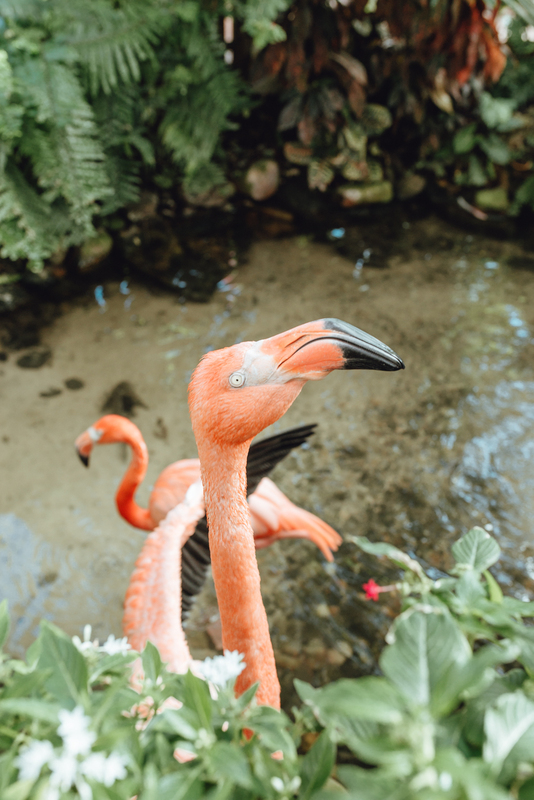 Our next stop was a visit to The Key West Butterfly & Nature Conservatory, where lush greenery, hundreds of butterflies and even two resident flamingos greet you. I enjoyed this garden oasis, a calm sanctuary and reprieve from the hustle and bustle of Key West. Our last dinner of the trip was enjoyed at Matt's Stock Island Kitchen and Bar, located in the Perry Hotel Key West. Talk about going out with a bang; this dinner was one of my favourites. The seafood was the same outstanding quality that we had come to expect throughout our trip through Key West, with a more modern and upscale twist. We all shared a beautifully-presented seafood tower and I enjoyed a lobster tail to myself for dinner. 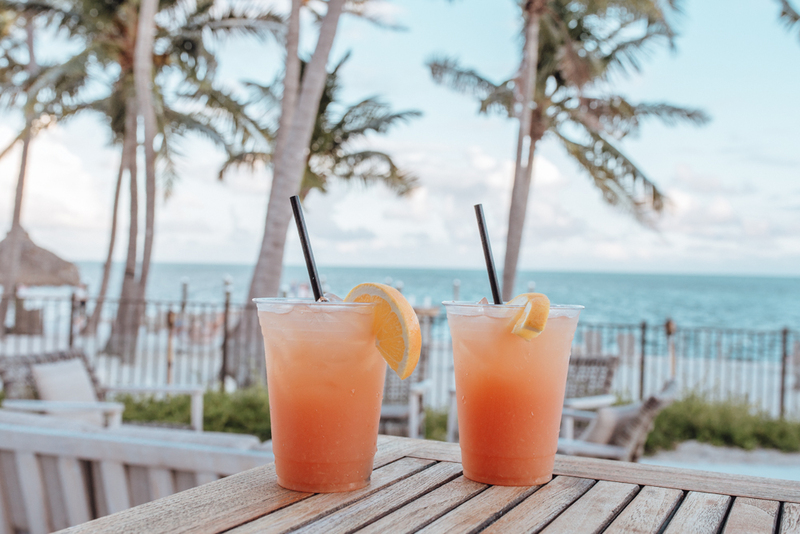 With delicious food and award-winning ambiance, Matt's Stock Island Kitchen and Bar is one of those restaurants that I can't just experience once, so it's on my must-visit list for when I return to Key West. Waking up to the Key West sunshine on our last morning already cultivated that familiar feeling of nostalgia; our time in The Florida Keys had come to an end. The entire day passed by as a blur, as I wanted to soak up as much sunshine and beauty of the Florida Keys before traveling home to snowy Toronto. Breakfast was enjoyed at Blue Haven, a Key West institution serving up generous portions of seafood laden breakfast in a colourful environment. I enjoyed my last taste of fresh shrimp, this time served as a Benedict, and last few bites of key lime pie. After tasting countless amounts of key lime pie throughout the trip, I can confidently say that the pie at Blue Haven is some of the best out there. 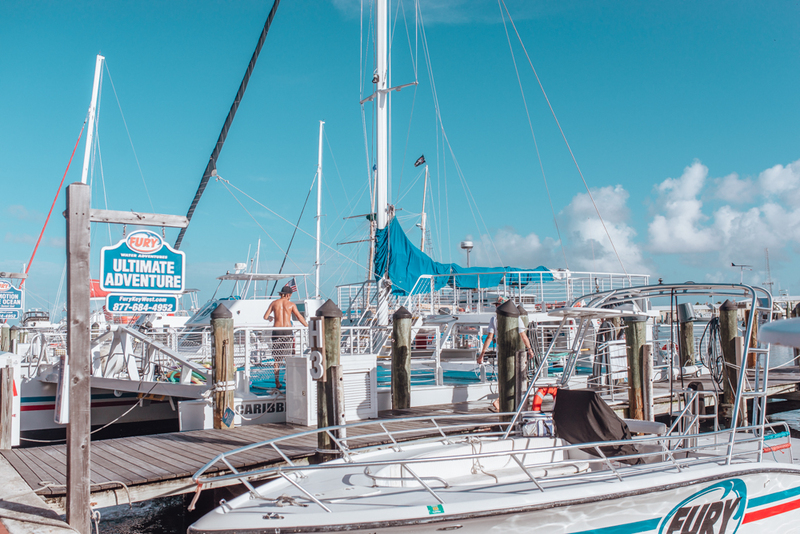 After packing our bags and checking out of 24 North, we took a quick taxi ride to the Key West Airport, making a short trip to Atlanta to catch our connecting flight to Toronto. Going into this trip, I knew that I was going to enjoy the Florida Keys - I mean, sunshine, blue ocean, seafood - what's not to like? What I wasn't expecting was how taken I would become with the culture, pride and warmth that Florida Keys showed us. What drew me to The Keys in the first place was achieved on this trip, but it's what lies beneath the surface - the people I met, the local pride - that's what will stay with me forever, and what will keep me coming back for more. Many thanks to The Florida Keys for your unparalleled hospitality. I can't wait to see you again soon. Thank you to The Florida Keys for hosting me on this trip. All thoughts and opinions are 100% my own. Looked like such an amazing trip, enjoyed following along on your stories and now have this to help me book my own trip there!! Thank you! I just booked a trip to Miami last night for Feb and you're pictures & post are getting me so excited! I've gone to south Florida all my life every couple of years and always take a trip to The Keys so they hold a very special place in my heart! So nice to hear your words on them. Also, by the sounds of your seafood choices it seems you're a girl after my own heart, bring on the lobster & oysters!